BioLite is a company that creates advanced energy products that make cooking with wood as easy and clean as possible. 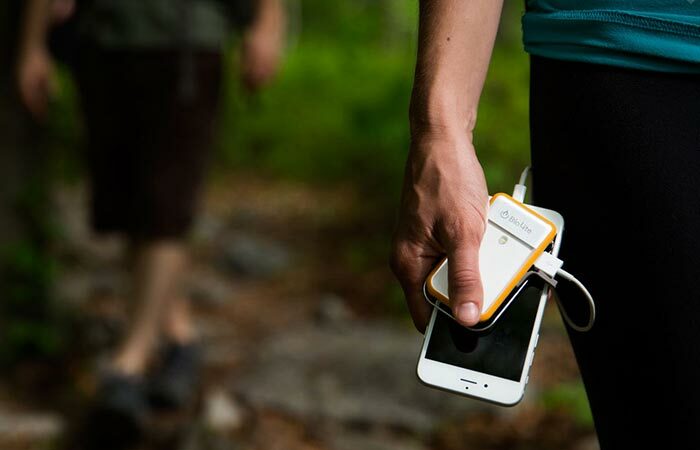 Their products are great for nomads and campers since they also provide energy that can charge phones and LED lights. PowerLight Mini by BioLite is a device that is at the same time a camp light, bike light and a mini power station that can charge your smartphone while you’re out there in the wild. After a series of camping stoves, people from BioLite decided to get in the power station and off-grid gadgets game. So, after the successful NanoGrid project, they produced the PowerLight, a device that besides the mentioned LED light offers 1350mAh of battery power that will recharge your smartphones at about 50% capacity. That will be enough to get you through the day, but if you’re planning to stay in the wild more than a few days, you should consider some other power stations to keep your gadgets “alive”. The PowerLight Mini is half the size of an iPhone and it weighs just 2.82 oz (80 g). 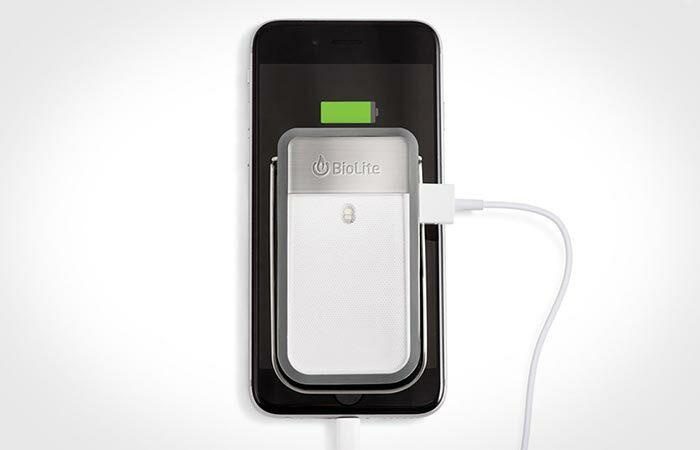 This gadget can also be used as a portable power station for smartphones. Originally, PowerLight was launched as a component of the NanoGrid last year, but now, there is a smaller and lighter version on the market that can be bought separately. 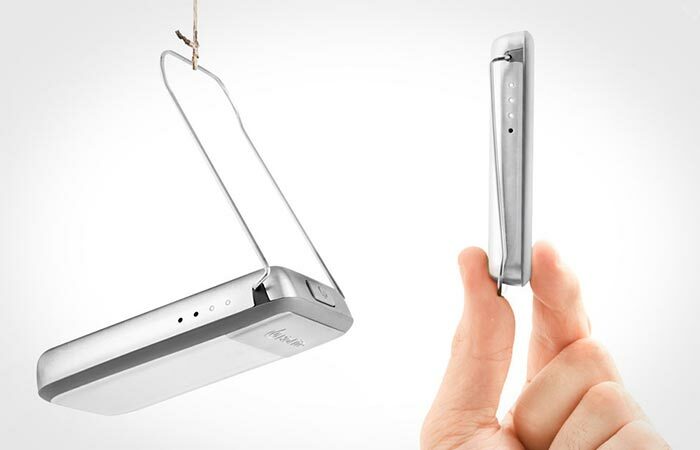 Since it’s half the size of an iPhone, this new gadget can easily fit in your pocket and it weighs just 2.82 oz (80 g). When it comes to light output, the mentioned 1350mAh lithium-ion battery will provide you with 135 Lumens of light that can last up to 52 hours on low and 5 hours on high. A 1350mAh lithium-ion battery will provide you with 135 Lumens of light that can last up to 52 hours on low and 5 hours on high. 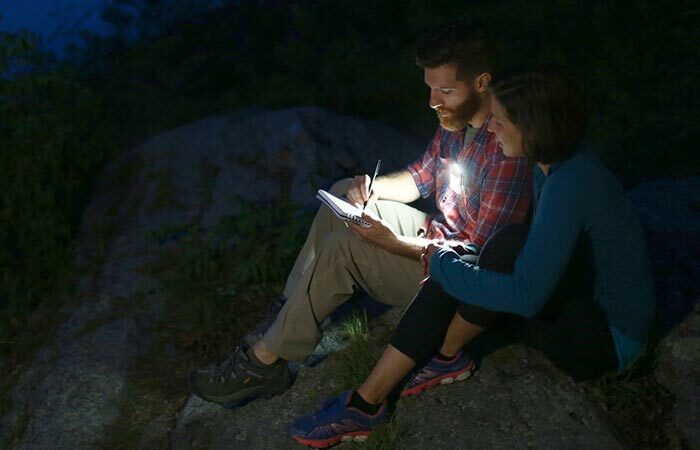 PowerLight Mini by BioLite uses an edge-lit panel that distributes the light evenly in every direction, so you will be able to illuminate every part of your camp with this little gadget. The light has 4 different modes that you can choose from – white lantern mode with dimming function, red night light, white point light for maximum visibility and strobe. It has 4 modes – white lantern mode with dimming function, red night light, white point light for maximum visibility and strobe. This device will set you back $44.95 and it comes in four different colors. 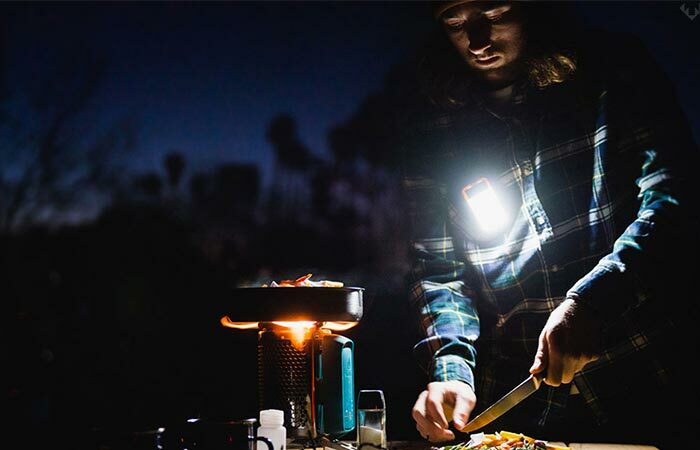 The PowerLight Mini also features a stainless steel housing, a wire hanger that allows you to hang the device over your campsite in order to illuminate the whole place. You can also stand it on a table or secure it to a chest pocket. This gadget comes with an included bike mount that turns the lamp into a bike safety light that you can use while you’re on the road. The PowerLight Mini by BioLite could really come in handy for everyone who’s into camping and nomadic style of life. 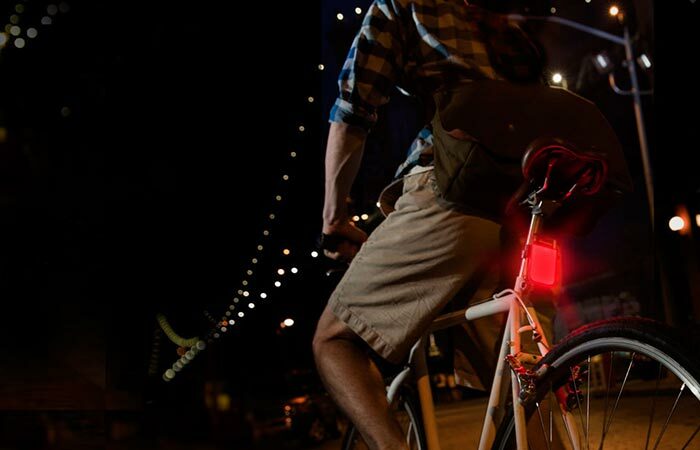 The PowerLight Mini can also be used as a safety light on your bicycle. Check out the PowerLight Mini by BioLite here.